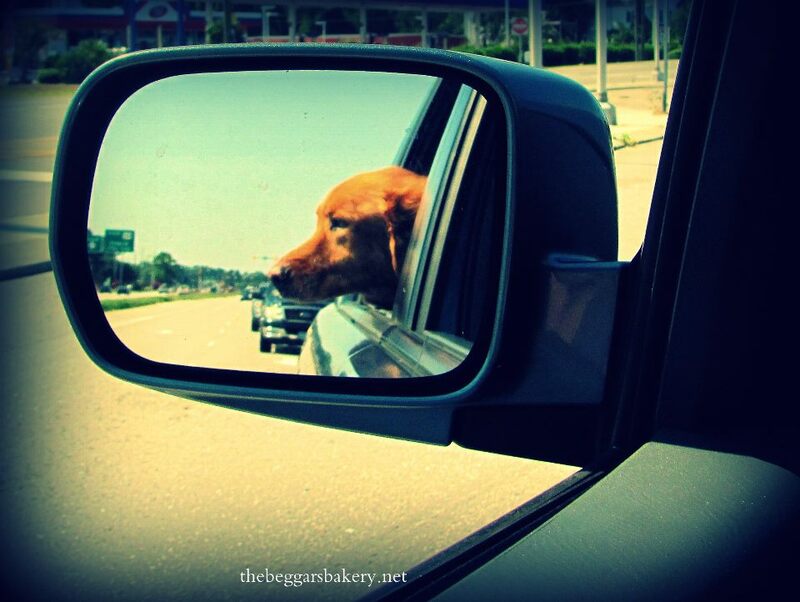 Along the way, I rolled down the window so that my rearview mirror was filled with the vision of Emmie’s face behind me – full splendor, tufts of golden fur and a wide smile of teeth and gums (okay, mostly gums) and eyes squinting in the cold sunlight. She had forgotten that there was a destination involved. She was all about the ride.